Quincy Promes – Promes currently plays for Spartak Moscow in the Russian Premier League. The 24-year-old Dutch winger has an overall rating of 81. Promes has an 86 acceleration, 89 pace and an outstanding 91 sprint. Moreover, he has an 83 dribbling and an 82 for ball control. Quincy Promes needs to improve his finishing, though (he has got 73 for finishing skills). Yaroslav Rakitskiy – The 27-year-old Ukrainian centre-back has some good stats in FIFA 17: he has got 82 for defending, 80 for physical abilities, 77 for passing, 74 for dribbling and 73 for pace. His positioning is only 56, but he has got other qualities to make up for his flaws. You can purchase Rakitskiy for approximately 750 coins. Carlos Kameni – Kameni has some decent stats in FIFA 17: 82 for diving and handling, and 87 for reflexes. Positioning is still decent (74), but his distribution might need a further improvement. The Malaga goalie might not be the most commanding in the game, but he could be a good option if you’re looking for quality and fair price. You can sign him in FIFA 17 for just 500 coins. Manolo Gabbiadini – has an overall rating of 81, and all his other stats speak of a decent striker: he has got 89 for long shots, 87 for shot power, 84 for ball control, 80 for positioning and 79 for finishing. Manolo Gabbiadini could be best employed as a winger, or in a supporting role. His finishing might not be the best in the game, but his long-range shots are devastating. Gabbiadini is definitely worth it. You have to shell out 1000 coins for his services. Kevin-Prince Boateng – he has 86 for strength, 84 for shot power and 83 for ball control. Kevin-Prince Boateng is still one hell of a midfielder: his ball-juggling tricks are second to none. He would cost you just 850 coins. Nelson Semedo – He has an overall rating of 76, but that should not fool you into thinking that he’s your average defender- on the contrary. Semedo has got 91 for sprint, 86 for acceleration, 85 for stamina and 74 for crossing. The Benfica youngster is blazingly fast, solid and good with the ball. You have to shell out nearly 900 coins to sign him in FIFA 17. Andre Andre – The 27-year-old has 86 for stamina, 83 for short passing, 82 for reactions, 81 for interceptions and 80 for high ball control. Andre is a well-rounded player, someone who possesses sheer work ethic and great work rate. The Portuguese central midfielder is just one of many Porto talents. If you want to have an agile and all-around great midfielder, Andre is the right man. You can sign him now for only 1000 coins. His stok price might skyrocket in the near future. Andrew Robertson – Scotland and Hull City left-back Andrew Robertson has an overall rating of just 75 in FIFA 17, but he can be an added value to your BPL team. The 22-year-old has 85 for sprint, 81 for stamina and 83 for agility. Robertson scores low on areas such as finishing, long shots and long passing, but his defending skills make up for his flaws. The great news is, you can actually buy him for only 400 coins. Keita Balde Diao – Senegalese international Keita Balde Diao is another hidden gem in FIFA 17. Should you decide to sign him, you have to pay around 850 coins- a bargain considering his skills. Keita is one of the fastest players in the game: he has 91 for acceleration and speed. Morover, he has got 85 for dirbbling and ball control. The 21-year-old is not a great header (58) and he definitely needs to work on his free kicks (52). Keita has an overall rating of 78, but his value could skyrocket in the coming years. The Lazio forward would be a great alternative in the attack. His skills are definitely worth the price tag. Juraj Kucka – If you’re looking for a strong, solid and all-round midfielder, Juraj Kucka is the right man for the job. He has 90 for rating for strength, 87 for stamina, 85 for shot power, 84 for aggression on the pitch and 79 for ball control. Kucka could be yours for nearly 1200 coins. The AC Milan midfielder would be an added value to your team in FIFA 17. Yannis Salibur – Salibur has 88 for sprint speed and 90 for acceleration, enough to dazzle the opposition. His long passing (63) is certainly not his thing, but it’s not something that is required for a forward. Yannis Salibur is a highly versatile player, able to play as a forward or a winger. If you are looking for a player who combines speed, versatility and stamina, Salibur is your answer. You can sign him for 700 coins. Leroy Fer – The 26-year-old is a beast: he has got 92 for stamina, 90 for jumping, 85 for shot power and 80 for aggression. The Dutch is a decent passer (76 for long, 79 short) and an equally good dribbler (78). Leroy Fer has an overall rating of just 76, which is a bit underrated given his performances. You can buy him for 900 coins- a great deal. 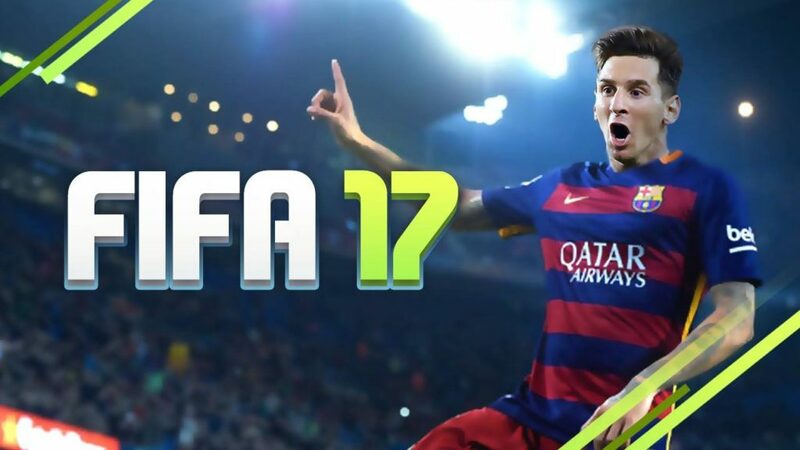 Angel Correa – The Argentine is a huge asset in FIFA 17: you can buy him for 1300 coins. Angel Correa has 87 for dribbling, 85 for ball control, 83 for pace, 82 for long shots and 81 for finishing. His lack of height (5ft8) is a blessing in disguise: Correa is a tricky player. Buy him as soon as possible. Reading to sign Daniel Carrico?